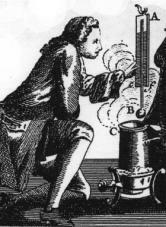 Daniel Gabriel Fahrenheit FRS (May 1686 – 16 September 1736) was a physicist, inventor, and scientific instrument maker. A pioneer of exact thermometry, he helped lay the foundations for the era of precision thermometry by inventing the mercury-in-glass thermometer (first practical, accurate thermometer) and Fahrenheit scale (first standardized temperature scale to be widely used). 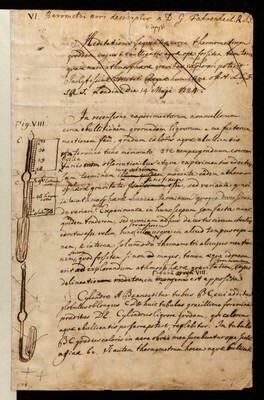 Fahrenheit was born in Danzig/Gdansk, a predominantly German-speaking Hanseatic city in the Pomeranian Voivodeship of the Polish–Lithuanian Commonwealth, but lived most of his life in the Dutch Republic (1701–1736) and was one of the notable representatives in the Golden Age of Dutch science and technology.